 Bowmore (/boʊˈmɔːr/ BOH-mor) is a distillery that produces scotch whisky on the isle of Islay, an island of the Inner Hebrides. The distillery, which lies on the South Eastern shore of Loch Indaal, is one of the oldest in Scotland and is said to have been established in 1779. The distillery is owned by Morrison Bowmore Distillers Ltd, a holding company owned by Japanese drinks company Suntory. Morrison Bowmore also own the Auchentoshan and Glen Garioch distilleries and produce the McClelland's Single Malt range of bottlings. The Bowmore Distillery was established in 1779 by a local merchant, John P. Simson, before passing into the ownership of the Mutter family, a family of German descent. James Mutter, head of the family, also had farming interests and was Vice Consul representing the Ottoman Empire, Portugal, and Brazil through their Glasgow consulates. There are no records that pinpoint the date Mutter acquired the distillery from Simpson. Mutter would introduce a number of innovative processes to the distillery during his tenure and even had a small iron steam ship built to import barley and coal from the mainland and to export the whisky to Glasgow. A bottle of 1850 Bowmore Single Malt was sold at an auction in September 2007 for £29,400. Stanley P. Morrison and James Howat formed Stanley P. Morrison Ltd. in 1951, and this company formed Morrison's Bowmore Distillery, Ltd. in 1963 in order to take over the Bowmore Distillery. Stanley P. Morrison died in 1971, and control of the companies passed to Brian Morrison. The company name has changed slightly, and, following minor restructuring, the distillery is now owned by Morrison Bowmore Distillers Ltd., which is ultimately owned by the Japanese distiller Suntory, following their takeover of Morrison Bowmore Distillers Ltd. during 1994. Suntory had previously been a shareholder in Morrison Bowmore for several years.